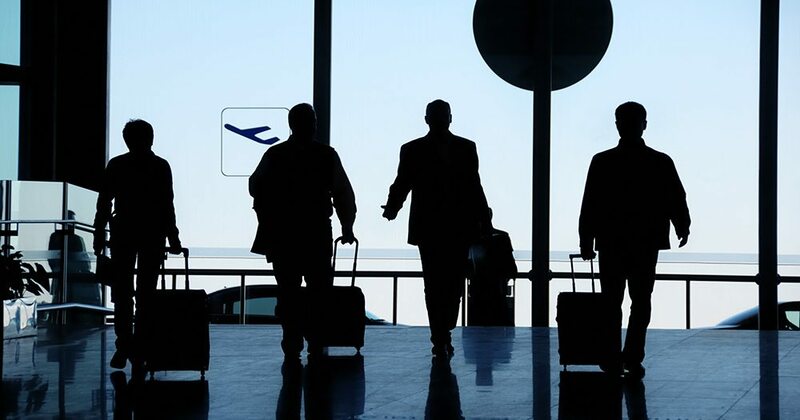 The Global Business Travel Association (GBTA) lists five types of business travelers. It’s a spectrum ranging from business travel pro to complete newbie. Maybe you’re “The Veteran.” You enjoy business trips. You’re more productive on the road than anywhere else. Or maybe you’re “Wide-Eyed & Anxious,” and don’t know where to start. No matter how often you travel, you always remember the business trip where things went wrong. And you wish you had been better prepared. If you can, take the opportunity to save hours and dollars on your next business trip. 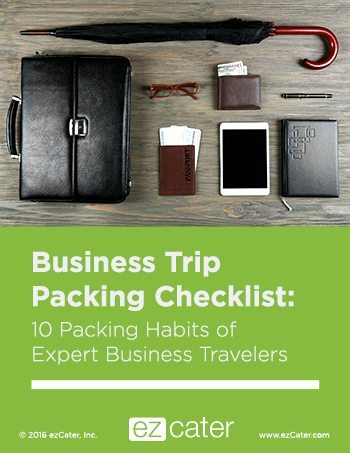 We’ve compiled a 10-point business trip packing list, based on advice from seasoned business travelers. Because every trip starts with a first step. Business trip packing can grate on the nerves. But before you get overwhelmed, remember that organization is key. First, prepare your expense sheet. Have a folder ready, whether physical or virtual, where you save all records of your expenses. This keeps things organized for when you need to file for reimbursement. Have a dedicated travel bag. Pre-pack it with essentials like toiletries in travel-sized containers, foldable slippers, and comfortable shoes. Remember extra business suits and device chargers (very important) to save you a lot of prep time. Find a travel bag that will fit into a regular-sized overhead compartment. A waterproof roll-aboard is preferable. Roll-aboards may be a bit heavier due to the wheels. But having one will let you move a bit faster on the ground. Not to mention the relief your back and shoulders get from not lugging the weight. Be sure to secure your flight tickets in advance. This is a no-brainer. There are several silly ways to miss your flight. Misplacing your tickets is one of them. Once you’ve procured your tickets, place them inside your travel bag. Ideally in an outside, easy-to-reach pocket. Even better, opt for an e-ticket to save paper. Veteran travelers often emphasize the importance of reviewing your company’s travel guidelines. You want to be aware of the expenses your company covers and can adjust. Will your company pay for restaurant expenses if you eat outside the convention hotel? Will they reimburse the bar tab for drinks you had with the new contacts you met at the convention? Know these things before you go. It will save you a headache when it’s time to file your travel expense sheet with Finance. Organize your business travel expense report as you go. Diligently track your expenses as you go along. Record them in your designated expense sheet folder. Also, always keep your receipts and snap backup pictures of them. You’ll be glad to have the pictures if you misplace your receipts or the ink fades. There are also plenty of expense monitoring apps you can download. Find one that lets you photograph your receipts. The ability to export records into an Excel file or text document is handy, too. Choose neutral colors and a classic wardrobe. Classics and neutrals are low maintenance. And you can mix and match with almost anything. Bring 2-3 pairs of black business suits, black socks, black slacks, as well as neutral shirts and shoes. This will keep you from having to coordinate colors and styles. Instead of folding your clothes and piling them on top of each other, roll them up into cylinders. Packing your clothes this way leaves extra space. And it even prevents more creases from forming. Another way to keep your business shirts from getting wrinkled is to lay them out flat on top of each other. Then wrap them one over the other around a bigger object. Keep high-resolution scanned copies of all your essential IDs. That includes your passport, visa, credit card, driver’s license, and anything else you need. You never know when you might actually need them. Never leave business-related items or your work laptop in your checked baggage. This includes any documents, presentations, and contracts. In fact, if you can, pack so lightly you won’t even need to check your baggage at all. People lose baggage in airports all the time. Don’t be one of them, especially if you’re traveling at your company’s expense. And especially if there are clients or attendees expecting you at a certain time. Sometimes you have no choice but to business items in checked baggage. If that’s the case, save soft copies of important materials on a USB or portable hard drive. If you use neck pillows for your flights, choose the inflatable ones instead of the bean bag kind. They’ll help save space in your carry-on. Bring extra bag organizers such as Ziploc bags or larger, waterproof containers for storing dirty laundry. Never mix old clothes with the fresh. You don’t want to smell like yesterday’s jetlagged executive, do you? What other packing tips can you add? Let us know in the comments below. How Much Does Your Company Spend on Food?